For me, Ramadan, the holy month in Islam where Muslims fast from food and water from sunrise to sunset, is a time for family. It was always the only time when my family stopped, sat down and ate together at the dinner table. Our mornings would begin as early as 3 a.m. with my mother entering our bedrooms, one by one, waking us up for suhoor -- the pre-meal before the fast. After returning back to our desired slumber, we would then wake up like every other day, tend to our duties, and return home to prepare iftar for the family. Iftar is the meal where Muslims break our fast at sunset. My family’s kitchen table would be filled with dishes ranging from lemon custard and fruit bowls alike, buur, and our Ramadan classic, sambuusa. Since I started college, Ramadan has fallen during the summer months where I am usually away from home. This will be my fourth Ramadan away from home and my family. This absence has allowed me to grow thankful for elements of Ramadan that I wasn’t able to recognize until I was gone. I’ve learned to cherish the right-before-iftar bickering and fighting with my siblings for who gets to “test taste” the homemade smoothie, and estimating how many TV shows I would have to watch to kill time until iftar. Most importantly, I missed the calm that would linger during our hunger, as if stress was locked away with the devil. However, Ramadan isn’t always a month full of comfort and ease. For some, Ramadan can be a very lonely time and a reminder of one’s alienation. It becomes even more difficult to fast 16 hours on these hot summer days when you don’t have a table full of both food and family to share it. Or when you are a recent or old-time convert who's spending their first or thirteenth Ramadan alone, or when like me, you are away from home for a summer internship. It becomes even harder to find a community where you feel at home. This year I found myself in New York City away from my family for the fourth time. You would think it would get easier, but it has become lonelier, longing for fading memories that I cherish. However, what being alone during Ramadan has taught me is that there are places to build community even when you may not have a network. For many New York City-based Muslims, that place is the Islamic Center at New York University (ICNYU). Every night during Ramadan, approximately 300-400 people come together at the ICNYU by Washington Square Park to break fast. 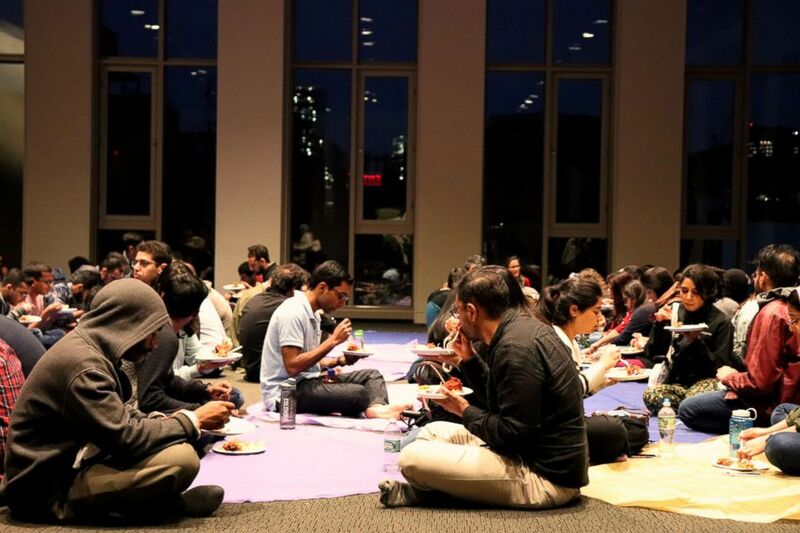 The ICNYU opens its doors to the community, hosting iftars to break fast every night during the month of Ramadan. Young Muslims in New York City find community during Ramadan at the Islamic Center at New York University. Whether or not you're Muslim, or a student, the center focuses on creating a safe, welcoming space for all. A sense of community is infused into the logo and the atmosphere. At 8 p.m. every night, the ICNYU starts to fill up with people of various backgrounds. 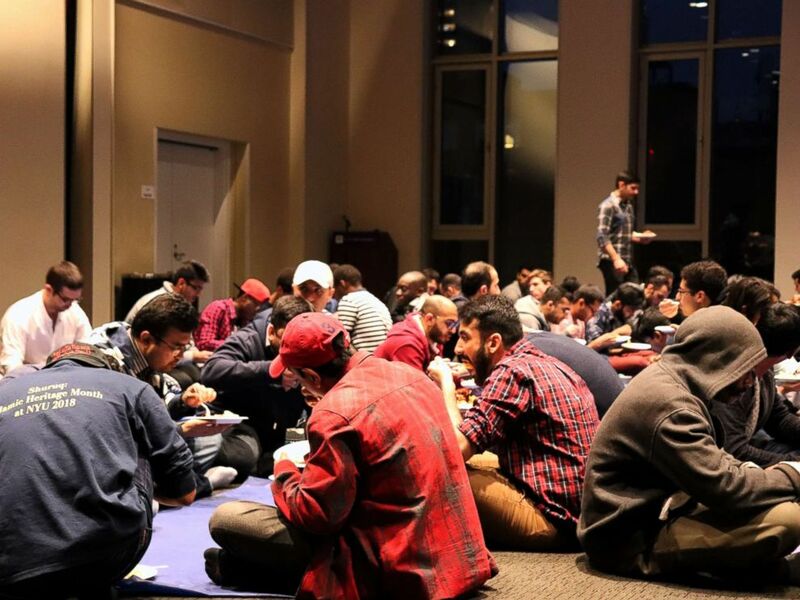 Every night during Ramadan approximately 300-400 people come together at the Islamic Center at New York University to break fast. Suhaib Webb, a resident scholar at NYU, said that his favorite part of attending community iftars are the people. During Ramadan, a huge emphasis is placed on charity known as Zakat. The ICNYU works with Islamic Relief to raise awareness every year for humanitarian issues. At a recent fundraising iftar, over $440,000 was raised through community donations for the Rohingya refugees in Myanmar. 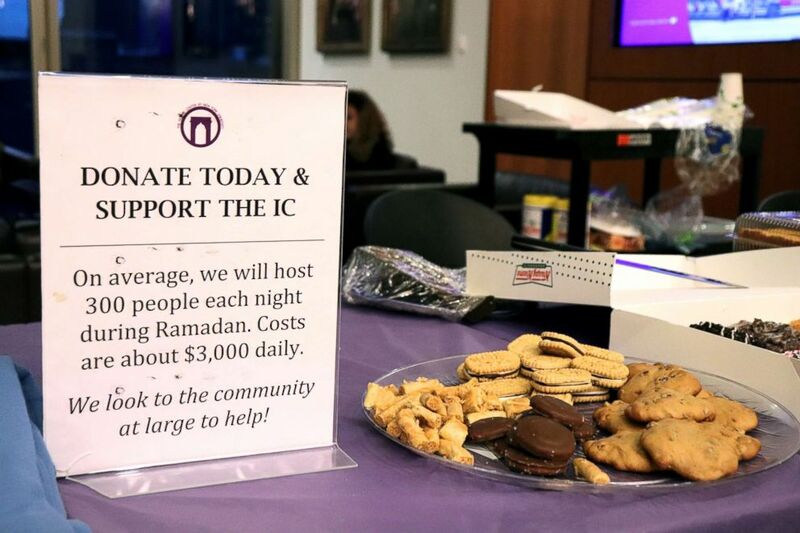 The Islamic Center at New York University and Islamic Relief fund have raised over $440,000 through donations from students, families, and community members. The ICNYU is working on building more spaces to tackle important issues that go beyond Ramadan, including opening a domestic violence shelter and helping to start a mental health clinic in Midtown. People are a huge part of how I experience Ramadan. I become more aware of the strangers I pass in the street, the family members I do not call enough, and those in our country and around the world that I do not help. These iftars not only become a home for those of us who feel alone during this holy month but allow us to make a family out of strangers. I was immediately welcomed by a wave of warmth from each person I met. I sat down at the iftar with four women who I did not know upon arrival, but left with future plans to visit a bakery in Harlem together. We talked about everything from our career ambitions to our commutes to work. We also discussed how we each got our parents to agree to let us move to NYC and bonded over our coworkers' bewilderment about fasting when we tell them, "No, not even water." But most importantly, we felt understood. We didn't have to explain ourselves. Together, we felt at home.